(Photo Courtesy/Bill Powell) Several actors suffered from illness during rehearsals of "Who's Afraid of Virginia Woolf?" 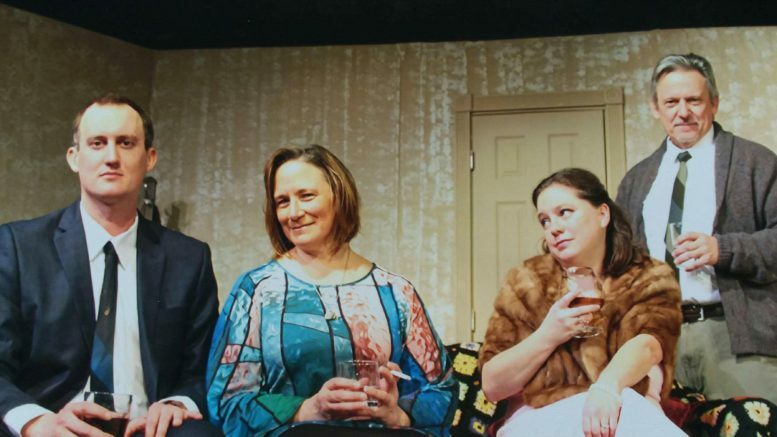 Alpena, Mich. — This past winter, the Alpena Civic Theatre planned to put on the play “Who’s Afraid of Virginia Woolf,” but illnesses struck down that possibility. The story looks at the relationship between a history professor and his wife during a party. The critically acclaimed show dissects the ups and downs of marriage and other relationships for this couple. The theatre ran into some hiccups during rehearsal. Several actors came down with different illnesses, forcing the theatre to cancel the performances. Now, the play has been schedule to take the stage this summer. Typically, Alpena Civic Theatre doesn’t stage summer performances, but this move could launch more smaller scale productions in the summer according to Powell. Catch “Who’s Afraid of Virginia Woolfe” on July 18th through the 21st. The play is suggested for ages 16 and up. To pre–order tickets, call the Alpena Civic Theatre at ​(989)-354-3624 or visit their website at http://www.alpenacivictheater.com.